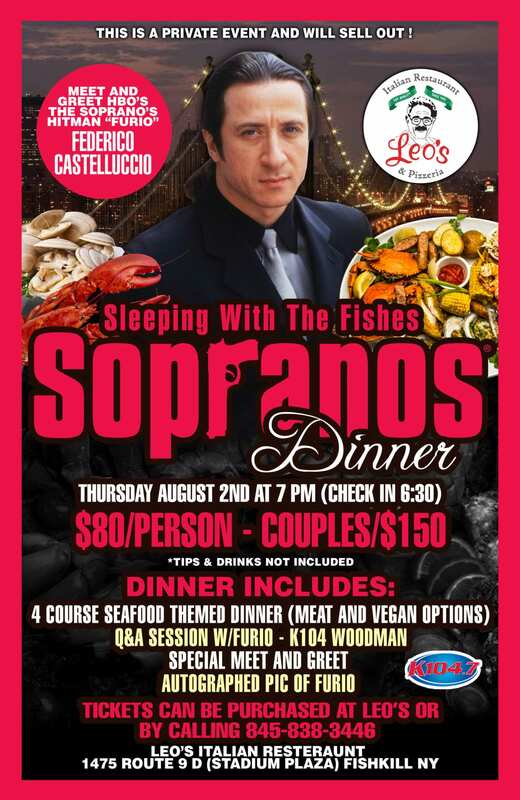 Leos will Facebook live Q&A & Take a Couple Question to ask Furio Via Facebook. Tickets Can Be Purchased at Leo’s or By Calling 845-838-3446. This Is A Private Event & Will Sell Out.